Where Can Polyvore Users Go Now? Polyvore fans were left out in the cold recently when Ssense purchased Polyvore and closed it down without warning. Fans, members and users were stunned into disbelief when they tried to access the website, and were taken to a different site. To add to their plight, many lost hundreds of hours of work that had gone into creating fashion sets and styles, as unique and individual as they were. While Polyvore users were able to download their sets, other information was lost forever. No one likes to see people being treated badly, so Fashmates acted quickly to offer support to all Polyvore users. It established live chat, and created pages dedicated to supporting Polyvore users. What Can Polyvore Users Hope to Find on Fashmates? Polyvore users will find the same creative tools they lost, and more. Before the Polyvore downfall, Fashmates has dedicated itself to creating a trusting environment with extensive buyer and seller protection programs. Those already using our services know that they can shop online in a trusted environment. Sellers also know that Fashmates offers great editing and graphic tools so that they can showcase their great fashion ideas. Will it Take Long to Make the Switch? After losing so much it is understandable that Polyvore users are tentative about signing up to another platform. However, we are Fashmates understand that and we have made it as easy and quick as possible. 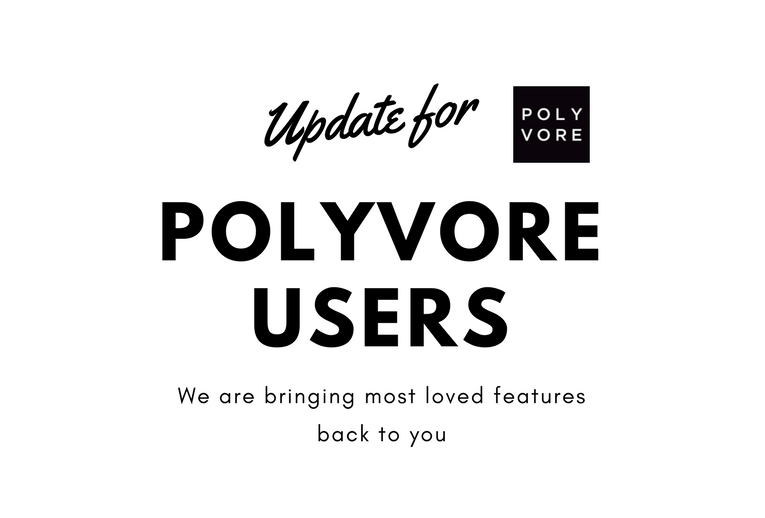 All Polyvore users can upload their sets and re-establish themselves for free. This means they can essentially pick up where they left off. Polyvore Was More Than Just a Fashion Site, But What Now?